Last night, Catholics of the Anglican tradition in Ottawa, led by priests from Annunciation of the Blessed Virgin Mary, celebrated a Vigil Mass for the Feast of the Presentation of our Lord in the Temple and the Purification of Mary, known commonly as Candlemas, downtown at St Theresa’s parish, a beautiful Catholic church near the University of Ottawa. 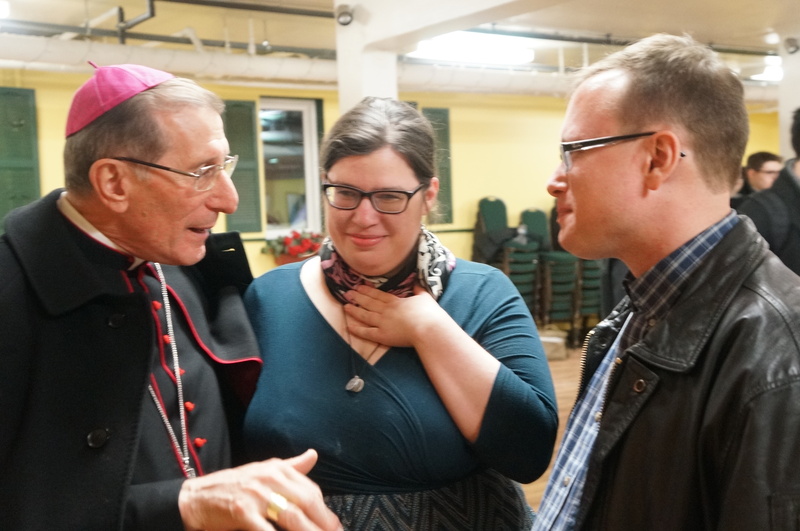 The Papal Nuncio, Archbishop Luigi Bonazzi, Ambassador of the Holy See to Canada, has been very supportive of the Anglican ordinariate over the years and joined us for the mass. Before the closing blessing, Archbishop Bonazzi shared some thoughts on the Presentation, and noted the heavy presence of youth in the congregation. A video of his remarks may be found below, along with a clip of some of the beautiful Anglican sacred music sung last night. These Choral High Masses in the Anglican Use have been organized every few months for the past couple of years and each time attract a larger crowd. For this mass, about two dozen university students and campus missionaries from Catholic Christian Outreach joined us for the first time. There is a vibrant community of young Catholics in Ottawa, many affiliated with CCO, and they routinely attend liturgical services, adoration, and other Catholic functions in the city, including of course masses in the various rites found in our nation’s capital. 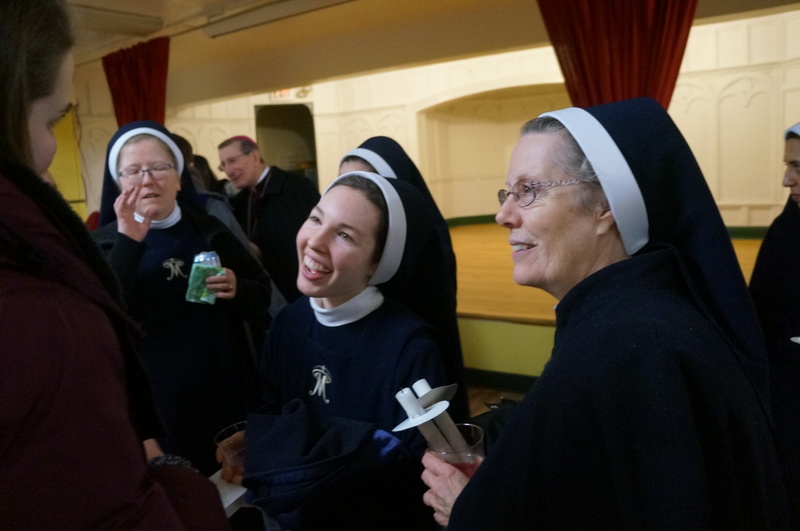 The Queenship of Mary sisters, a new order in Ottawa, also turned out in force. The sisters have often visited our parish of the Annunciation, and their beautiful and highly visible witness is always a delight to see. Their membership is also noticeably very young, and is a reminder that Catholic tradition attracts and inspires youth, drawing them every closer to the Lord. In addition, of course, many other lay Catholics and other Christians came from across town. Afterwards, in accordance with our Anglican custom of course, there was fellowship downstairs along with snacks and liquid patrimony. Many people stuck around for quite a while, including the Nuncio himself, until after 10 pm, after which (of course) quite a number decamped to a local pub. The Papal Nuncio talking with Rebecca and Michael Trolly, our organist and cantor at Annunciation. Mother Mary Bernadette and the Queenship of Mary sisters are very supportive of us and a blessing for Ottawa. Fr. 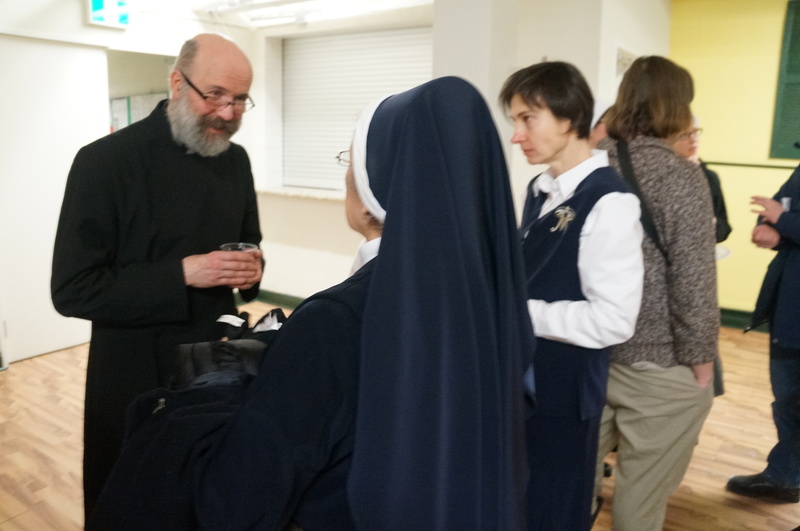 Kipling Cooper from Annunciation talking with Mother Mary Bernadette of the Queenship of Mary. Every few months, Christopher Mahon has organized Anglican Use Choral High Masses downtown to showcase beautiful liturgy, patrimonial sacred music sung by trained singers, and our Anglican Catholic tradition. Below are video clips taken of the communion motet (Poston’s Jesus Christ the Apple Tree), and of the Papal Nuncio’s remarks at the end of mass. 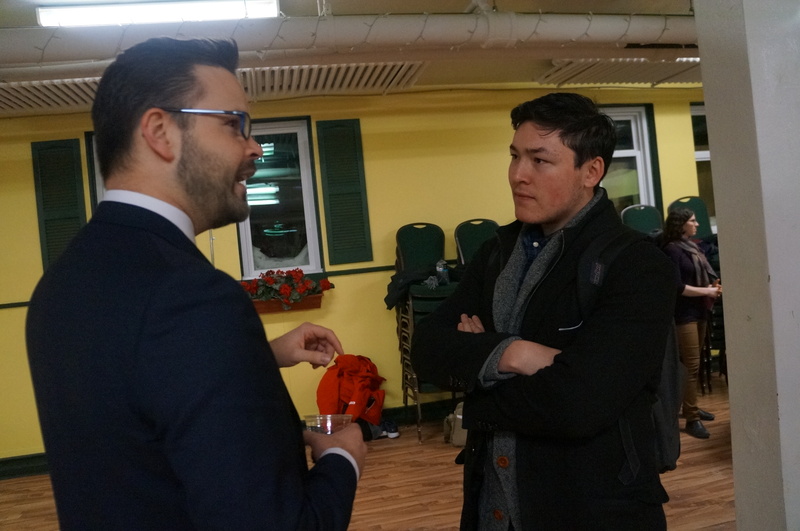 There were many other photos and videos taken, and there are more details to report, but that will have to come in a follow-up post (the follow-up post can be found at Anglican choral music brings Catholics together for Candlemas). For now, suffice it to say, it was all in all a very beautiful and patrimonial evening. An additional report with videos and photos can be found here. Was the mass celebrated according to Divine Worship? This is beautiful and the pictures help me feel a part of the service. Thank you! And the singing is truly wondrous!